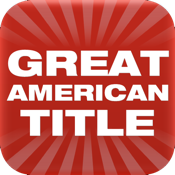 Great American Companies Title/Closing Fees estimator. This app will provide an estimate for the Title/Closing fees for a purchase or refinance through Great American Companies. The fee’s shown are only estimates of buyer/borrower costs on residential purchase and refinance transactions. Several factors contribute to the final costs but this will calculate a reasonable estimate. Prices are subject to change.